Samsung is reportedly preparing to break tradition in the name of competition. The South Korean electronics giant is said to be moving up the release of its next flagship smartphone by several weeks in order to beat the next iPhone to market. The first Galaxy Note was announced at the IFA trade show in Berlin back in late 2011, ringing in the era of the phablet. Since that time, Samsung has used the annual trade show as the platform to unveil each successive revision in the Note line. This year’s IFA is scheduled to get under way on September 4 but according to a source familiar with the matter as reported by The Wall Street Journal, Samsung is aiming to launch the Galaxy Note 5 by mid-August. In a bit of irony, last year’s Galaxy Note 4 launch was largely overshadowed by the arrival of the iPhone 6 and iPhone 6 Plus. It’s clear that Samsung doesn’t want that to happen again and one way to assure it won’t (unless Apple moves up the launch date for its new iPhones) is to release the Galaxy Note 5 a month early. 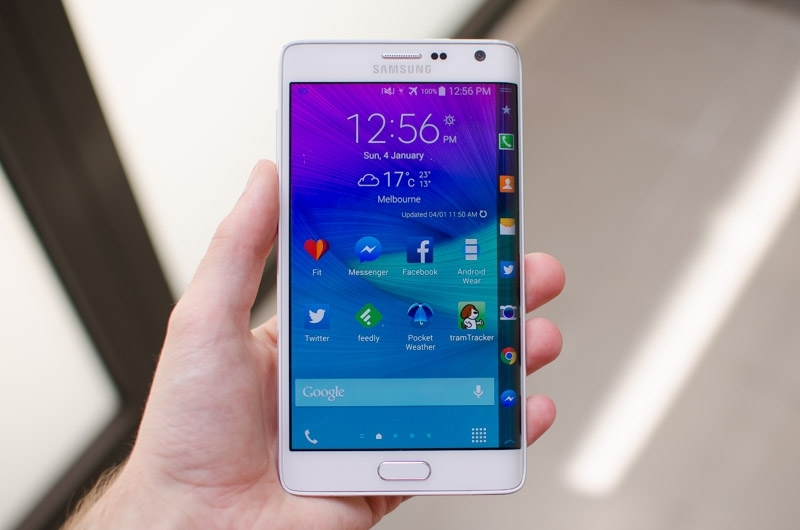 Current rumors suggest Samsung may be playing it safe with the Galaxy Note 5. By that, I mean it may adopt the same styling as the Galaxy S6 / S6 Edge which certainly isn’t a bad thing. Despite not selling as well as Samsung had hoped, those two smartphones are considered by many to be the best that Samsung has ever put out.